On Tuesday, 2 April, Latvia’s Cabinet of Ministers approved the order to allocate EUR 47,530 from Defence Ministry’s budget to finance projects of five non-government organizations, as confirmed by the ministry’s representative Aiva Kokoriša. Latvia’s National Partisans Union will be provided with EUR 12,000, Latvian Officers Association will be provided with EUR 9,750, and Latvian Riflemen Association will be provided with EUR 4,940. Latvia’s Reserve Officers Association will be provided with EUR 1,612, whereas Latvia’s National Soldiers Association – EUR 19,228. The goal of projects announced by NGOs is reporting nationally important historic events that had assisted with the restoration of the country’s independence and sovereignty, encouraging patriotic thinking and preserving military history records. 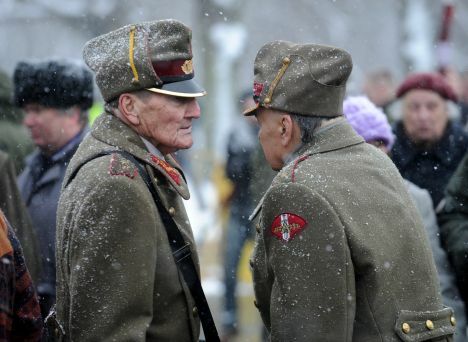 «Our objective is supporting Latvian veteran organizations that not only work to preserve military history records for future generations and teach about Latvia’s history and patriotism,» says Defence Minister Artis Pabriks.